Explore his master works by bike. 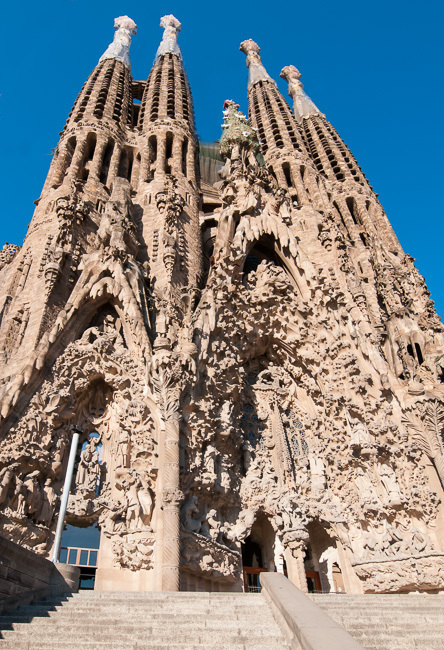 Take in the grand scale of the Sagrada Familia. 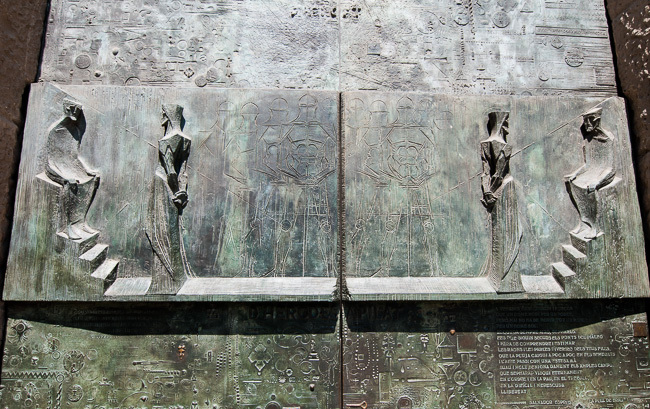 Take a Barcelona bike tour of Antoni Gaudís famous works to find out how the Catalan architect left an unforgettable mark on the city at the turn of the century. The form and feel of his buildings put a distinctively Spanish spin on Paris' art nouveau movement. 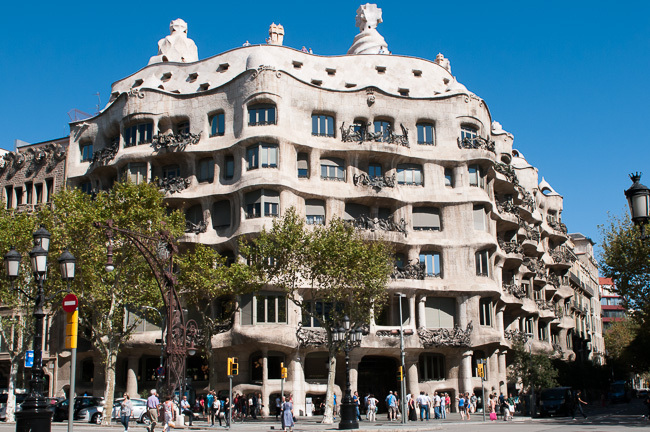 Our private Gaudi bike tour takes you to the modernista master's finest architectural achievements. 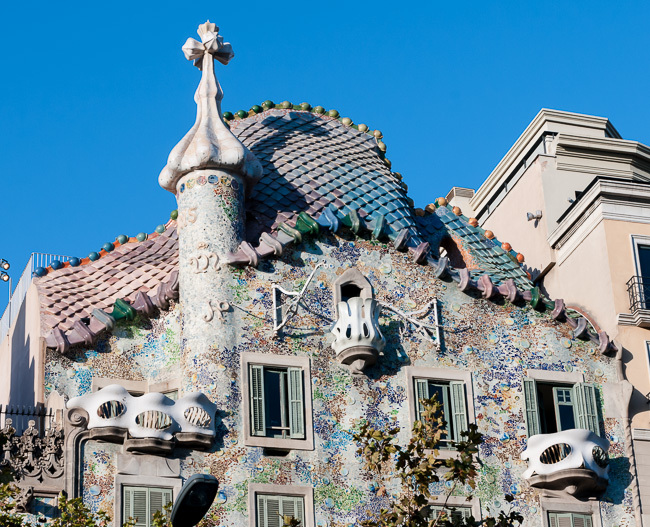 This excursion is perfect for the casual tourist or the Gaudi groupie. Each one of our private Barcelona bike tours offers you the Barcelona Experience difference: high–quality bikes, knowledgeable and friendly guides, attentive service, on-tour support and optional delivery and pickup of your bikes. Book now or read on for details. 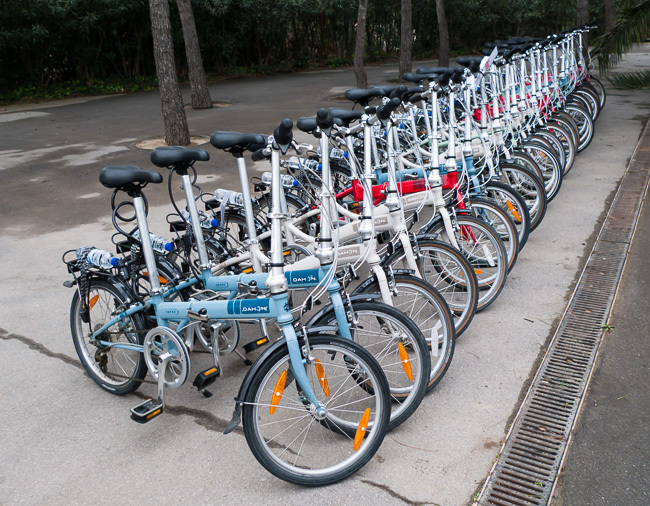 Your comfortable, high-quality Dahon bikes ready to ride just outside of Park Guell. 1-5 People 240 € (Flat fee: price is same for 1 person as it is for 5.) Includes bike delivery and pickup. Click here to begin the booking process for your private Barcelona Gaudi bike tour. 1-10 People Included in the cost of the tour as noted above. 61 or More Contact us for a quote. We can deliver up to 300 bikes! Round Trip All prices are for round-trip service, which includes both delivery & pickup. Our Gaudi tour usually begins at Park Guell, a rarity for most bike tours in the city. Why? Few tour companies deliver bikes to the hilltop park. We do, which means you´ll have the pleasure of biking downhill. But before you pedal to the flatlands, you´ll be immersed in the undulating, amazing architecture of Gaudi´s Park Guell. Wander the walkways of the shaded park as you soak in surreal structures and magical mosaics. Head downhill to stand face to face with what many consider Barcelona´s most emblematic building, the Sagrada Familia. Few cathedrals in the world inspire wonder and awe like the Sagrada Familia, Gaudi´s skyscraping masterpiece of stone and glass bursting with color and charisma. From there, we make stops at two of Gaudi´s domestic gems: La Pedrera and Casa Batllo, a pair of residential structures that boast the architect´s imaginative designs. Park Guell: This tour starts at Park Guell and can end at your hotel, apartment or other location withing the city center. You may arrive at the park on your own or have us organize your transport according to your group size. No Bike Delivery & Pickup: Unfortunately, to avoid the climb to Park Guell, bike delivery is required for this tour. Group Size: However big or small your group, we will never exceed our maximum guide-to-client ratio of 1 guide for up to 15 riders. Large groups will be divided into smaller ones to maintain a high level of quality, service and safety. Skill Level: This is an easy going and relaxing bike tour. If you can ride a bike, you can easily enjoy this bike tour. "Thank you for your excellent tour of Barcelona! We learned so much about Barcelona, its charm and its history!! And we enjoyed meeting you and getting to know a little about you. You have a great touring style!"